In the last three years, the long term downward trend in UK work fatalities has reversed and is plateauing. HSE’s latest fatality statistics released on 7 July 2016 show a provisional total of 144 workers killed in work-related incidents which is slightly upon last year’s final total of 142 last year and 136 the year before. (1). There has been an increase in deaths in construction, up from 35 to 43. Also, on 7 July 2016, five men were killed at a recycling plant in Birmingham: Saibo Sillahhe; Alimamo Jammeh; Ousman Jabbie; Bangaly Dukureh; Mohammed Jagana, all Spanish nationals from Gambia. This was the third work-related multiple fatality in less than a year in England. Derek Moore, Dorothy Bailey, Derek Barks and Jason Shingler were killed and many injured at Bosley Wood flour miIl explosion on 17th July 2015. Christopher Huxtable, Ken Cresswell, John Shaw and Michael Collings were killed in the collapse of a boiler house while being prepared for demolition at Didcot Power Station on 23rd February 2016. The body of Michael Collings was recovered but the other three workers still lie under the rubble nearly 20 weeks later to the horror and grief of their families. “The past 6 years of Coalition and Tory government have seen huge cuts to the enforcement of laws intended to protect workers, and a constant stream of lies about good health and safety being a ‘burden on business’ (2). There are of course unforeseeable, unpreventable accidents at work, however almost all deaths and injuries at work are due to the poor management of health and safety by employers. We will not know the cause of this latest multiple worker fatality incident until the result of the full investigation. But we would be concerned if there has been a fall in proactive, preventive inspections even in the few high risk industries such as waste and recycling where such inspections are currently still permitted. 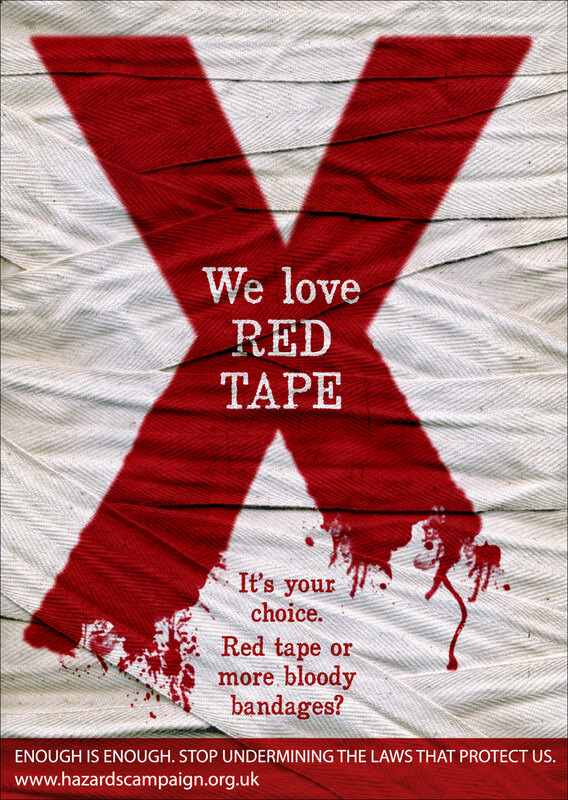 “We know, and the families of those killed at work know, that red tape is far better than bloody bandages. No-one died from too much regulation and enforcement but from quite the opposite. (4). We completely oppose any post-Brexit further slashing of workers’ health and safety. We demand that the government put an end to the constant denigration of health and safety regulations and enforcement, and reverse the attacks on budgets and policies at the HSE and Local Authorities, so that workers can be protected properly at work. The HSE’s latest strategy is little more than a business advice brochure and their hashtag, #helpgbworkwell, no more than wishful thinking (5). Thanks for sharing this great piece of article Jawad. 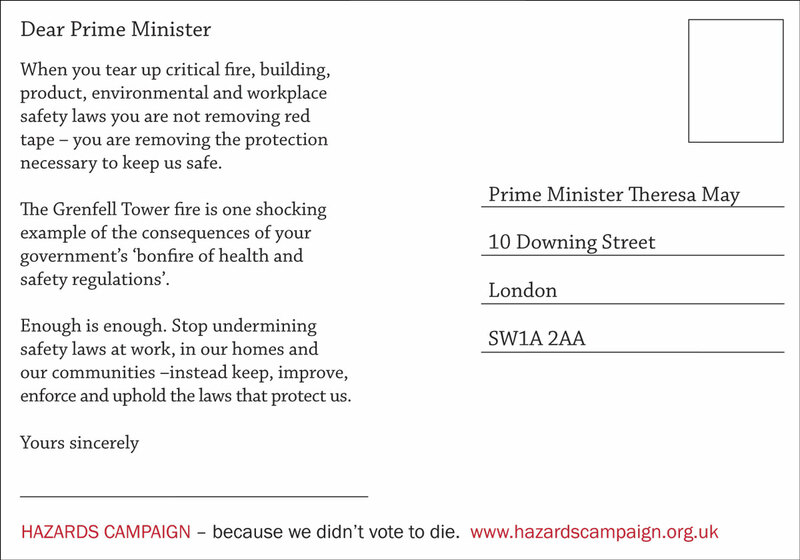 The government should implement tough health and safety regulation to protect workers from dangerous hazards.